It was another awkward Thanksgiving on Supergirl Season 2 Episode 8, with Alex and James fighting over who got to tell their secret first. 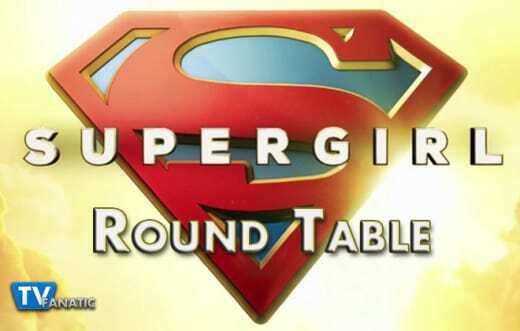 Gather around the table and join TV Fanatics Kathleen Wiedel, Steve Ford, Christine Orlando, Jim Garner, and Yana Grebenyuk as they discuss J'onn's dismissed story line, the new Malex relationship, and those mysterious aliens. Did you expect Maggie to change her mind so soon? Kathleen: I did not expect her to change her mind nearly that quickly, to the point where it made me actually scratch my head a bit. I know that near-death experiences can make people reevaluate their life priorities, but this came across as a bit... abrupt. Steve: It was a bit sudden and was actually thrown off by it. At least Alex won't be down in the dumps anymore, but I'll miss her drunken toasts. Christine: I didn’t expect it this soon, but I figured we were headed in this direction eventually and I prefer to see Alex happy and finding love than moping. Alex and Maggie have great chemistry so I’m happy to see where this goes. Jim: Honestly, I had tears of joy when they kissed at the end. Like Christine, I'd much rather see Alex happy, and they are really a cute couple. Yana: I didn't want her to change her mind so soon, but that's mostly because I am all about the slow burn. As soon as she was injured I knew that she would visit Alex and the two would get together. It was still a wonderful moment, and I'd rather have those two get together now than not at all. Was J'onn's White Martian story line resolved too quickly/easily? Kathleen: Oh, heavens, yes. In a throwaway line, no less! This was actually my single biggest complaint with an otherwise very strong episode. There was so much potential to be found with this story line, and the fact that it was resolved in such a by-the-way manner felt incredibly disappointing. I sincerely hope that J'onn does apologize to M'gann sooner rather than later, at the very least, and the writers definitely owe those two a serious sit-down conversation! Steve: This was yet another story I was thrown off by. The show was setting this up to be somewhat of a big deal and then it's resolved in the blink of any eye. It's almost as if the writers were quickly trying to tie up stories in a nice neat bow before the winter break, and it all felt too convenient. Christine: Yes! There was all of this drama and build up and then suddenly, if you blinked, you missed the resolution. What the heck was that? It seemed like quite a waste of an otherwise intriguing story. Jim: I agree with everyone above. The throwaway line of "and I was able to fix J'onn" was total crap! I'm not sure why they started a story line with this type of drama just to resolve it nearly instantly, but I guess it happens. Yana: Why build something up if you're going to figure it out offscreen without much drama? I agree with Steve that it was almost like them not wanting to draw this out with this winter break and the 4-part crossover, so they wrapped it up and moved on. What are your thoughts on the mysterious aliens searching for Mon-El? Kathleen: This can't possibly be good news for the heroes of National City. They don't seem like the friendliest of sorts, do they? But I'll bet you dollars to donuts that this has something to do with Mon-El's Big Secret that he's been keeping from Kara. Steve: Houston, we have a problem. These aliens are sure to wreak some havoc upon National City. Makes me wonder if Kara will end up working with Lena and concoct a variation of that alien virus to stop them? Christine: We knew Mon-El had some sort of secret so perhaps this is it. But aren’t there always some new aliens coming to town to wreck havoc every week? Jim: Are these the same aliens as this week's cross-over? I'm lost on if the aliens are the same or not. Sadly, that confusion has resulted in me being less excited about Mon-El's secret. Yana: I wish I cared more. Mon-El adjusting to Earth differently from Kara was interesting and funny, but this secret just isn't a selling point for me. I'm sure he has a dark past, and he's very sorry about it; can we fast forward through that part? Will Lena continue to help Supergirl bring down Cadmus and her mother? Has she earned your trust? Kathleen: Were this Real Life, Lena would probably have earned my trust by now. Given that this is a TV show, however, and I've been watching crime shows pretty much my whole life, I keep waiting for the (often inevitable) twist that "She was evil all along!" or whatever. Honestly, it would be far more interesting to me for Lena to actually be as honest and on the side of angels as she has been portrayed thus far rather than playing some absurd long game. The white sheep in a family of, well, evil insane megalomaniacs? That's drama, right there. Steve: As I mentioned in my previous comment, I believe Lena and Supergirl will end up working quite well together. However, anything can happen. She is a Luthor after all. Christine: So far I really like Lena, so I’m hoping she and Supergirl continue to work together. However, I do wonder if Mommie Dearest will bring Lex into this fight to make it even more interesting. Jim: I really, really, really hope that Lena continues to prove that she's an adopted Luther and not bat-crap-crazy like the rest of them. I think she and Kara could work very well together. Yana: Kara and Lena scenes are becoming some of my most favorite, so I need Lena to be on the good side. I couldn't find myself doubting her intentions, so I'm totally trusting right now. What do you think of the season so far? What are your hopes for the rest? Kathleen: The move to the CW has definitely brightened things for Supergirl. I absolutely loved Tyler Hoechlin's excellent performance as Superman, Maggie has some strong chemistry with Alex, and Chris Woods definitely brightened the screen as fish-out-of-water Mon-El. They let me down with the abrupt resolution of J'onn's White Martian difficulties, but I hope that's not the absolute end of that story (what with M'gann still locked up and all). I'm also not over the moon with James's story; it's almost like he's become a third wheel now that there's so much less focus on Kara's time at CatCo and Mon-El serving the "potential love interest" role. I am definitely looking forward to our heroes taking down Project Cadmus and finding Jeremiah, though I fear there will be no happy ending to be found there. Steve: I agree with Kathleen. Aside from a few instances of resolving stories rather quickly, season 2 has been significantly better overall, even with the absence of Calista Flockhart's Cat Grant. There are still quite a few cheesy bits of dialog thrown in here and there, but it's become part of the show's charm. Christine: The transition to the CW has done nothing but make this a better show. I thought I’d miss Cat Grant a lot more than I am, but the other characters are so strong that I don’t think about her all that often. My biggest complaint is that James has taken a back seat much of this season and I’m a huge fan of both the character and the actor. Other than that, I’m enjoying the heck out of Supergirl Season 2! 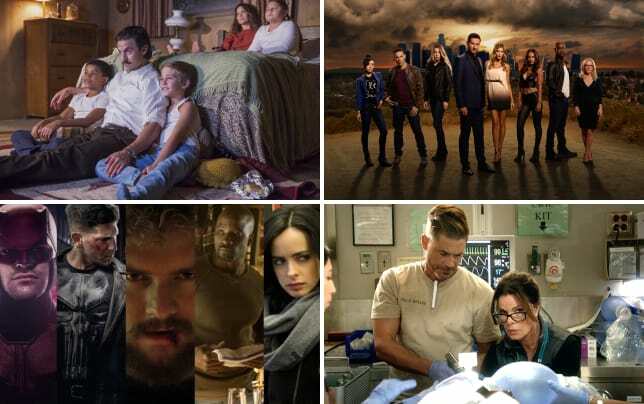 Jim: Like everyone else, I think the move to CW has been nothing but good for the show. Outside the abrupt resolution of Jonn's White Martian issue, the only other thing I've felt let down by was the "4 night cross-over event." 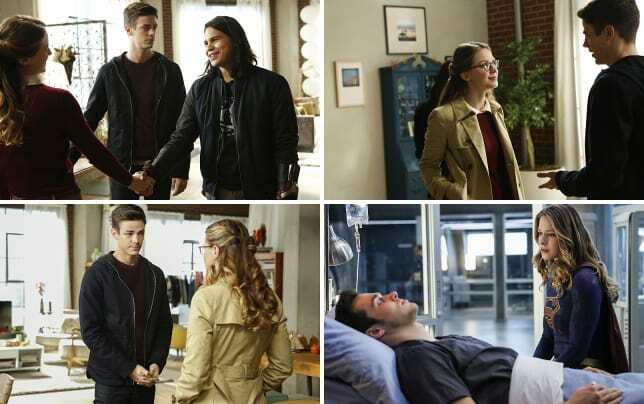 Barry and Cisco showed up in the last two minutes of the episode, so its more like 3.25 night crossover. Yana: The move was a good idea, but what was lost in the transition is hard to ignore. There's a huge Cat hole in the show, and the way they shoved James aside makes no sense. He's no longer a love interest, and because of that he has like no coherent story in general. He's around for the sake of being around, but he doesn't seem to matter as much and I can't stop questioning why. What happened with the move to the CW that made the writers think they needed to shove him aside and pretend he wasn't at least part of the team last season, instead of the tag along we keep seeing now. My alien sister is not leaving here until we figure out how Cadmus was able to target only aliens. It's better safe than sorry. Winn: So last night the space-time continuum ripped apart in the middle of your apartment, which only makes it slightly less intense than last year's Thanksgiving. Winn: Oh maybe some extra-dimensional being just had a craving for your mom's cranberry relish. Permalink: Oh maybe some extra-dimensional being just had a craving for your mom's cranberry rellsh.